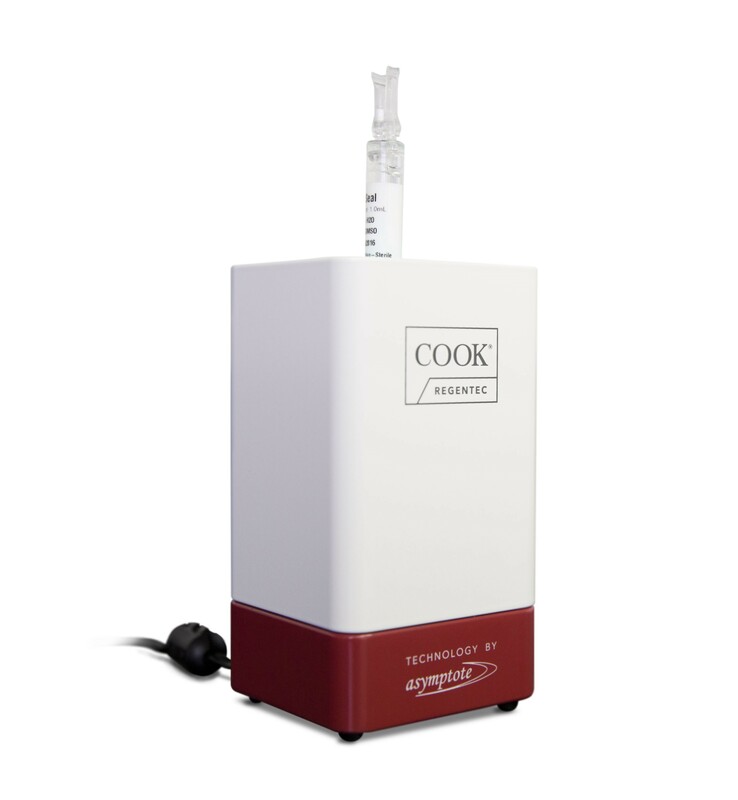 Cook Regentec and Asymptote recently announced the launch of the CellSeal® Automated Thawing System. The new system, which has been developed as part of a collaboration between the two companies, provides users with thorough control in the thawing of cryogenically frozen cells, a critical step in the delivery of cell and gene therapies. Importantly, the new system removes any user subjectivity by detecting the precise thaw end-point—extremely difficult to achieve using the current standard water bath process. The new system works through dry conduction with no need for water, a potential source of contamination, and provides an effective, reliable and scalable solution which supports Good Manufacturing Practice (GMP) requirements. To find out more about the introduction of this new technology, we spoke to John Morris, CEO, Asymptote. JR: Thawing of living therapies is a vital and overlooked aspect of cell-based therapy development. Why do you think this is? JM: To date many Cell Therapy companies have understandably focused on testing the effects of their products in small scale manufacturing which may not require cryopreservation. As more products move into clinical trials and towards market authorisation there is growing attention on the challenges of scaling up, which nearly always involves cryopreservation. Thawing is one of the final processes manufacturers need to control right at the end of the cryogenic cold chain. If thawing is not well controlled, cells that manufacturers have invested enormous amounts of time and money creating, may die. With increasing focus on the challenges of scaling up and implementing a robust cryochain for cellular therapies, it is an ideal time to launch the CellSeal Automated Thawing System. JR: How big of a risk is contamination in the traditional, water bath based method of thawing? Are there any other risks? The warm moist environment of the water bath is inviting to all kinds of microbes including bacteria, viruses and fungi. Knowing this, operators have to take many steps to minimise the risk of contamination. Best practise includes only filling the bath just before it is required, comprehensive cleaning before and after every use, filling with high quality sterile water, using anti-bacterial additives and so on. If all of these steps are carefully followed every time, then contamination risks can be minimised. In contrast, the CellSeal Automated Thawing System is a completely dry system and is ready for use within a few minutes of powering up. Thawing in a water bath is a subjective process: the operator has to judge when the cells have thawed, and there is the potential to leave them in the warm water beyond their exact point of thaw. A recent study we conducted in collaboration with Loughborough University found if cells were left in the water bath for too long their viability was reduced compared with cells removed at the exact time the last ice crystal melted. JR: By introducing automated, standardised thawing, what benefits does CellSeal offer cell and gene therapy companies? JM: The CellSeal Automated Thawing System provides effective thawing of cellular therapies to an exact end point in a dry environment with full data logging. Dry conduction thawing eliminates the potential contamination risk posed by the current practice of water bath thawing. Cell viability is preserved by ejecting the CellSeal vial when the system detects the thaw end point. Customers can audit thaw processes and identify improvements by reviewing data automatically captured on every thaw run. Every CellSeal Automated Thawing System is also compatible with my.Cryochain, the only platform developed specifically to control the cryochain for cellular therapies. This accessible, web-based software makes it easy for customers to standardise processes and audit data across remote thawing units. JR: Technically speaking, how have you achieved such reliable, controlled thawing? JM: The CellSeal Automated Thawing System works by warming vials in precision-machined aluminium jaws. The jaws’ accurate fit with the vial and the pressure exerted by the clamping mechanism deliver effective heat transfer by conduction. Sophisticated control systems monitor six different temperature sensors hundreds of times a second to control the thaw and determine an exact end-point. John Morris was speaking to Jack Rudd, Editor for Technology Networks.